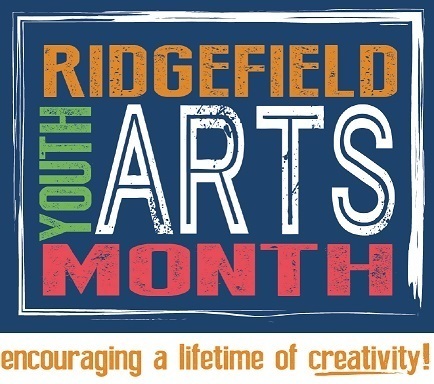 To celebrate Youth Arts Month, Ridgefield Community Education is offering a phenomenal array of classes for the community and for kids of all ages. Many classes are free! View the schedule of activities by clicking here. All classes require online registration and are available on a first-come, first-serve basis. If you find a class full, sign up for the wait-list. With enough interest, a second class may be added! A variety of classes in arts and crafts or music and dance are offered this year. Students can take part in the Missoula Children’s Theater production of “Peter & Wendy”, sign up for Jam Band, Hip Hop Workshop or Line Dancing. Learn art in its many forms: watercolor, block carving & printing, acrylic painting, and sculpting. Or take in the District Art Show and the many musical concert performances scheduled throughout the month showcasing the talents of our amazing students. This year, Ridgefield School District and the Ridgefield Lions Club are pleased to present a special performance by three award-winning blind musicians, Mac Potts, Nick Baker and Brent Gjerve in an amazing piano concert, “3 Grands Concert & Benefit” on Friday, March 15th at 7:00 pm at the Ridgefield High School Performing Arts Center. Enjoy a unique, awe-inspiring performance by these talented musicians. Proceeds benefit Ridgefield High School’s scholarship program and Ridgefield Youth Arts Month. Tickets are available online at https://ridge.revtrak.net under Events. Ridgefield School District is grateful to its title sponsor, The Modern Orthodontist (www.themodernorthodontist.com) and sponsorship from the Ridgefield Public Schools Foundation for their support of Ridgefield Youth Arts Month. For more information, contact Ridgefield Community Education at 360-619-1303 or via email at terri.cochran@ridgefieldsd.org.